Deputy President William Ruto has denied that there is a crisis in the Jubilee Party camp. 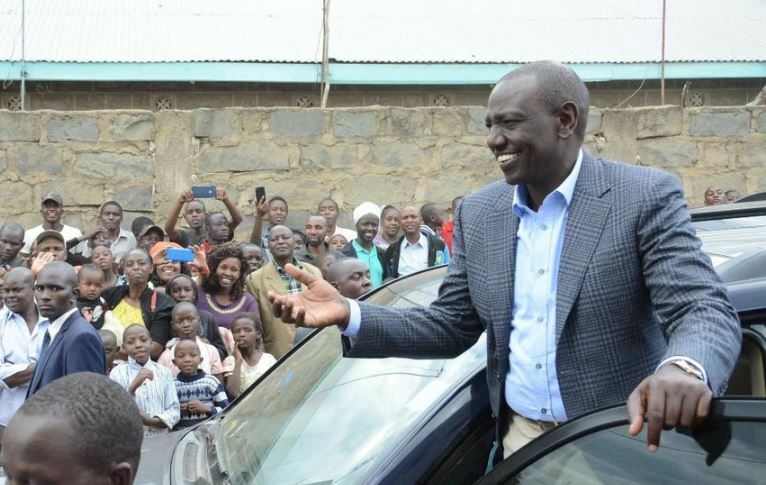 Ruto accused the media and a group of propagandists of peddling lies about the ruling party and asserted that any discontented member was free to leave. Speaking during a church service in Naivasha, Nakuru County, DP Ruto stated that there was no place for ethnicity, division and false promises in the party. “Jubilee is a party of diversity and national outlook that stands on the foundation of transforming Kenya,” said Ruto. He said the politics of uniting Kenya is what “we must embrace if Kenya is to progress”. “I ask those interfering with the affairs of the party to keep off. As a matter of fact, there is no contest in Jubilee. There is only one leader in Jubilee. Any other person outside that framework is a liar,” he noted. Ruto also observed that the party was fully behind President Uhuru and his agenda and called on Jubilee leaders to respect the Head of State. The Deputy President also directed all elected Jubilee leaders to focus on the Big Four agenda and stop politicking. “We are fully behind the President Big Four Agenda and all our leaders should now focus on development as part of our meeting our manifestation,” he said. He pledged to rally all leaders behind President Kenyatta. “I am saying without fear of contradiction that under the leadership of President Kenyatta, we have seen enormous transformation in our country and we will all continue to work together to ensure that the strides made continue,” said Dr Ruto.